The main events of the WMOF2018 will take place in Dublin, at a large conference venue as well as in other venues in and around the city. It is also anticipated that related events, including the hosting of international groups, will take place all over the island of Ireland. All official events will be ticketed. More details of the programme and the venues will be made available on this website closer to the date of the event. Thousands of families and individuals from all over Ireland and the world are expected to attend. Some people may come together, others might come on their own, others as part of an organisation. Adults, youth and children are all invited to take part. 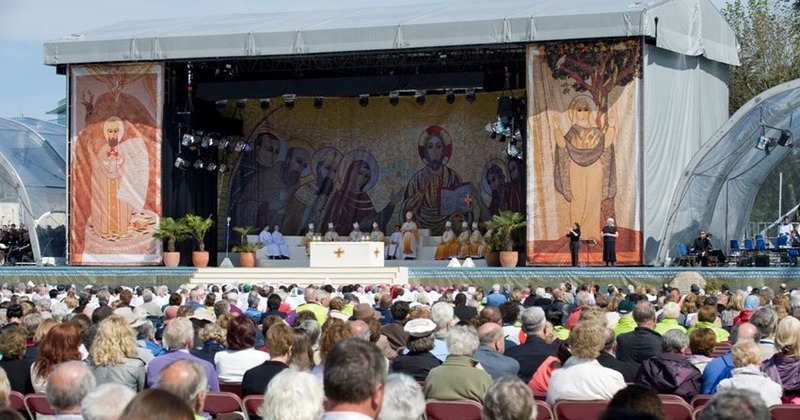 The WMOF is organised by a host diocese chosen by the Pope. For 2018, Pope Francis chose the Archdiocese of Dublin, in Ireland. To fulfil this task, the Archdiocese of Dublin has appointed a team to work with the families, young people, women and men, clergy, religious and others from all over Ireland who will be involved in the planning of the event. Father Timothy Bartlett has been appointed as Secretary General and Anne Griffin as General Manager for WMOF2018. Will Pope Francis attend the World Meeting of Families 2018 in Dublin? It is too early to know if Pope Francis will attend WMOF2018 in Ireland. What we do know is that he has said he would like to be with us. His programme is normally announced just a few months prior to any event. Such a visit by Pope Francis would bring great joy to Irish Catholics and others, but the final decision will depend on many factors.